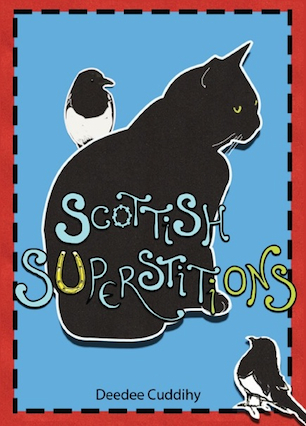 According to the experts, Scots are the most superstitious people in the UK... But is this true? 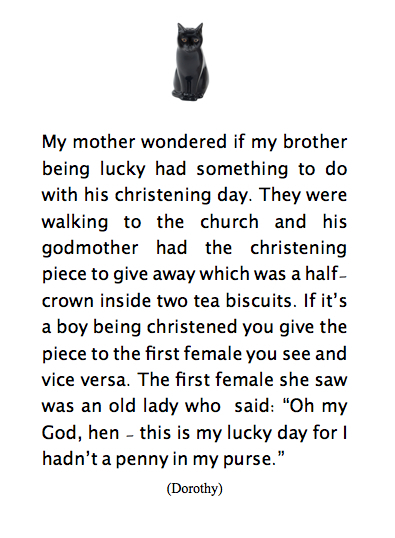 Having interviewed hundreds of people, who were more than happy to share their weird and wonderful beliefs about black cats, lucky charms, shoes-on-tables, ladders, christening pieces, coins-in-purses, pennies-on-pavements, peacock feathers, the colour green, manhole covers, dropped gloves, cutlery and the number after 12 . . . the conclusion is that those experts were probably correct! If I see a black cat, I can’t help thinking: I hope it crosses my path because I could do with some good luck.